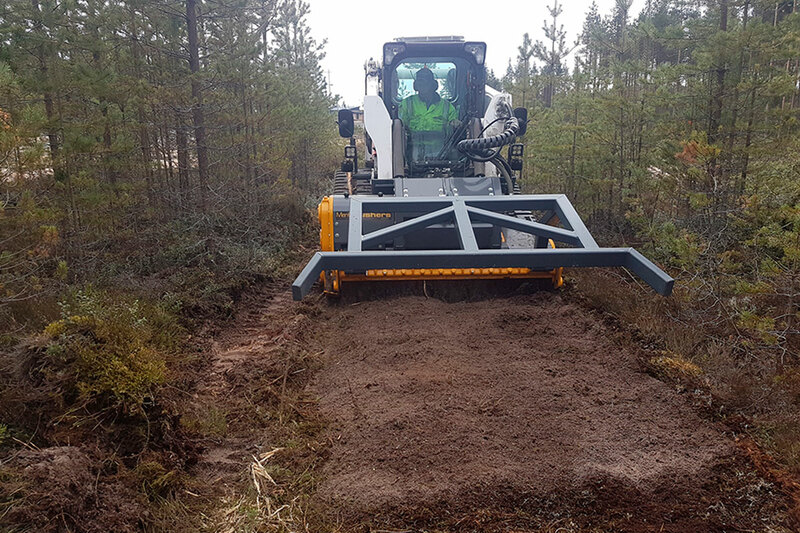 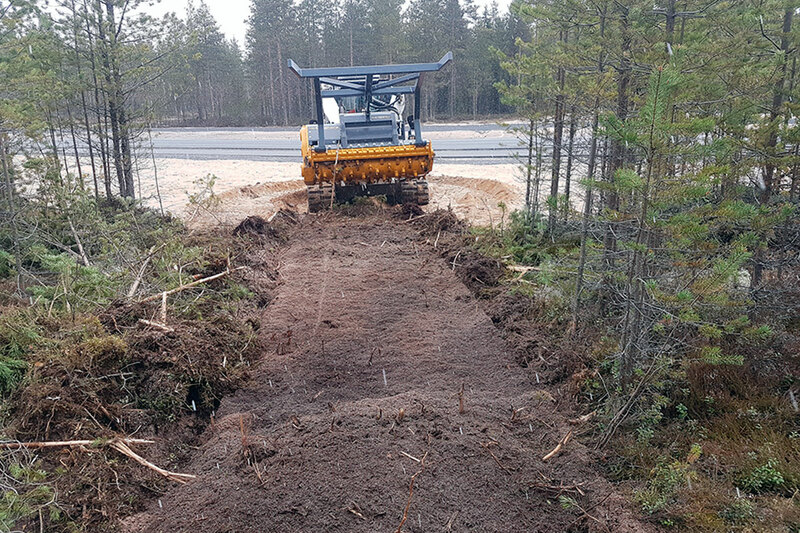 Suitable for high flow compact, skid and tracked hydraulic carriers, MeriCrusher MJS/G hydraulic mulchers are well suited for forestry and land clearing, crushing of stumps, clearing development and construction sites, rights of way construction and maintenance, any place a strong, purpose built subsoil machine is required. 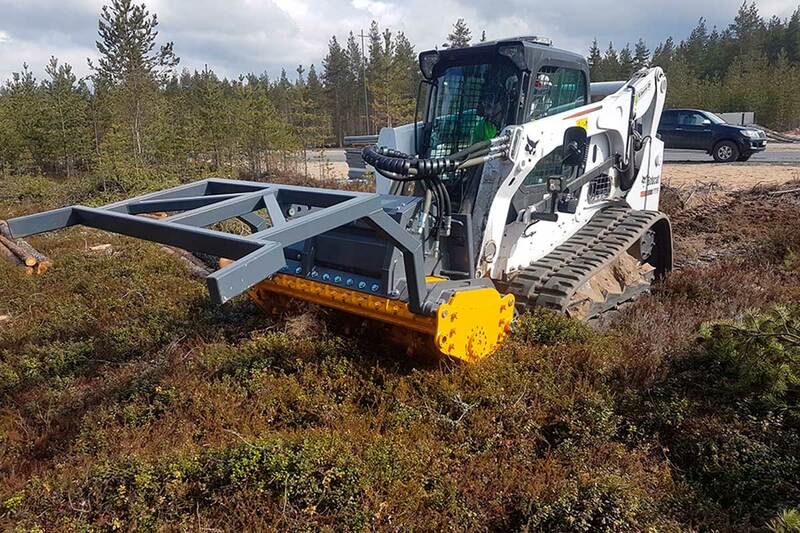 With a maximum working depth of 10" (250mm), and strong G-series gearboxes, the MeriCrusher MJS/G is designed and engineered with a modular concept, allowing the machine and its uses to grow and change with your requirements. 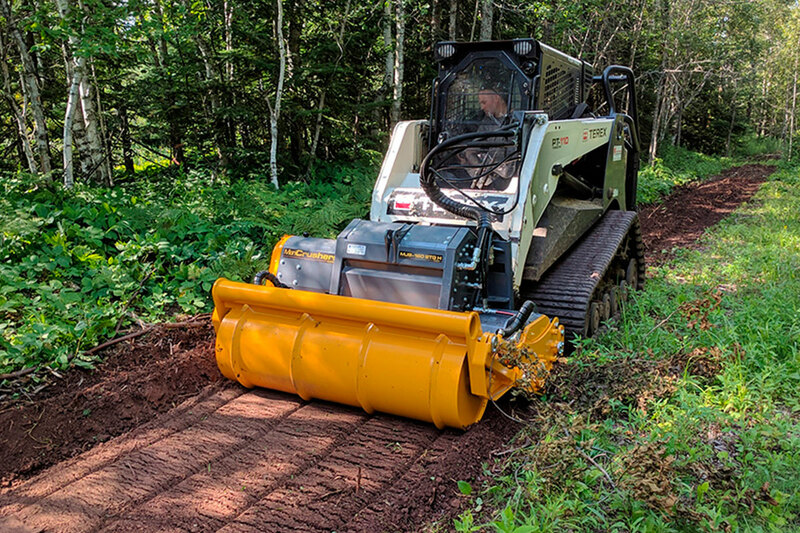 Mulcher designed for demanding conditions and contractors, the MeriCrusher MJS/G hydraulic mulcher is ideal for wheel and track machines up to 250hp. 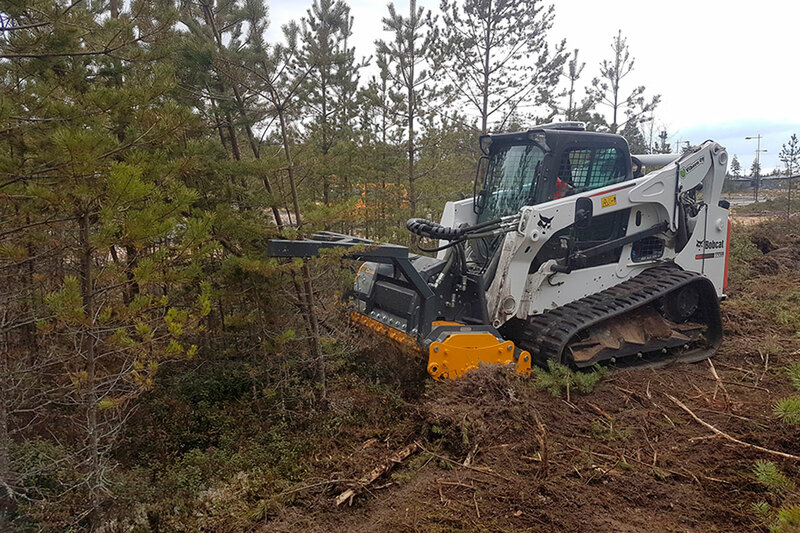 Two speed hydraulic motors, and G-series gearboxes are used to transmit power to the rotor in these purpose built subsoil machines. 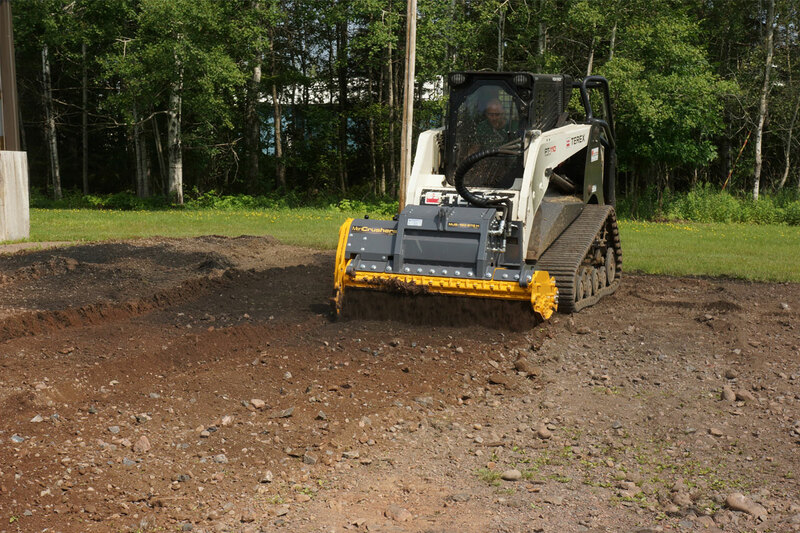 With extremely high torque, and ideal rotor speed, the MJS/G hydraulic mulcher will power its way through most conditions. 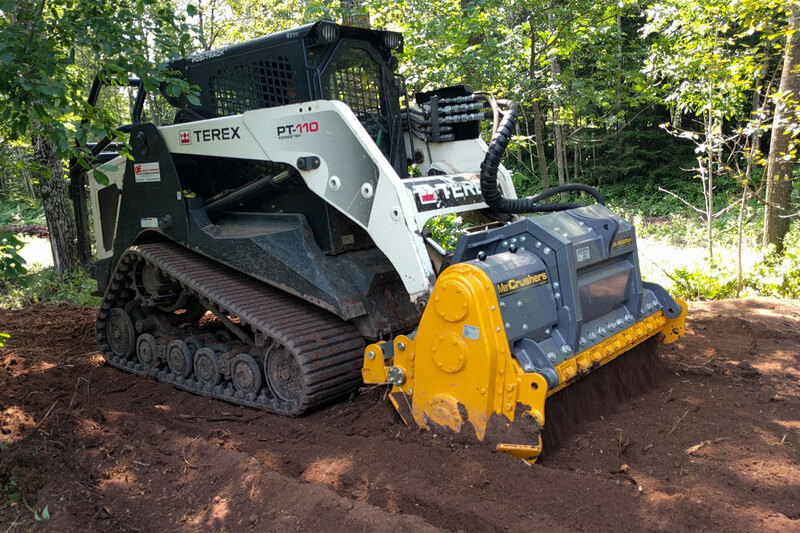 Equipped with conical carbide cutters, and extra durable forged tool holders, your operating cost will be kept to a minimum.